Draft: 2007, Philadelphia Phillies, 30th rd. Full name is Jacob Tanner Diekman (pronounced: DEEK-man)…resides in Beatrice, Neb., with wife, Amanda and daughter, Palmer...Played baseball, basketball and golf at Wymore (Neb.) Southern High School, graduating in 2005...Pitched two seasons at Cloud County Community College in Concordia, Kan., graduating with an associate's degree in business administration...Actively involved in activities for the Crohn's and Colitis Foundation of America…joined with wife, Amanda, to found the "Gut it Out Foundation", whose mission is to connect patients and caregivers through education and inspiration in order to strengthen relationships and resources within the community...Hobbies include: golf, working out, video games and listening to music. Appeared in 71 games combined between Texas and Arizona, being traded to the Diamondbacks at the nonwaiver deadline…went 1-2 with two saves, a 4.73 ERA (28 ER in 53.1 IP), 17 holds and 66 strikeouts...Acquired by Arizona in exchange for RHP Wei-Chieh Huang and LHP Joshua Javier on July 31…tossed a scoreless inning at Chase Field the night prior to the deal and rode the bullpen cart from the visiting clubhouse to the home clubhouse before the next night's game...Tied for seventh among Major League left-handed relievers in appearances and was 13th in strikeouts per 9.0 innings (11.14)…his K/9 rate was his highest since he set a career high (12.68) in 2014...Allowed just 22.2 percent of his inherited runners to score (6-for-27)…stranded 7 of 8 inherited runners with the Diamondbacks...Ranked fourth among MLB relievers with a 14.7 K/9 rate (42 K in 25.2 IP) on the road and ninth among all lefthanders with a 1.40 road ERA (min. 25.0 IP)...Made 15-straight scoreless appearances on the road from July 5-Sept. 11, spanning 10.2 innings…surrendered a season-high three runs at Colorado on Sept. 13, which marked just the second time in his last 41 road outings in which he's allowed a run...Limited right-handed batters to a .191 average (25-for131)…however, lefties hit .329 (24-for-73) against him. Posted no record and a 2.53 ERA (3 ER/10.2 IP) across 11 relief appearances in September after returning from 3 surgeries in the early part of the year (see above)…spent the season on the 60-day disabled list and was activated on 9/1 following an injury rehabilitation assignment…was scoreless in 10 of 11 appearances, also posted strikeouts in 10 of 11… ranked among the A.L. September/October relief leaders in both holds (T5th, 5) and opponent average (10th, .121)…set club record by opening a season with 5 outings of 3+ BF and no hits allowed (opponents were 0-for-15 with 7 K, 3 BB, and a SF)… retired one of 5 BF on 9/13 at SEA, when he was charged with each of his 3 R allowed on the year…had 5.0 scoreless innings over last 5 G, retiring 13 of 21 BF (2 H, 6 BB). MINORS // Had 6 G on rehab assignment with Round Rock (AAA) and Frisco (AA) from 8/17-29: 1-0, 1.42 ERA (1 ER/6.1 IP), .143 (3-21) opp. avg., 0 BB/8 SO. Was 4-2 with 3.40 ERA (20 ER/53.0 IP) over 66 relief appearances in his 1st full season with the Rangers…earned the 1st 4 saves of his major league career, converting 4 of 5 chances…ranked among the A.L. relief leaders in holds (T4th, 26) and opponent avg. (9th, .189)…his 26 holds were 3rdmost in club history to 27 by Mike Adams in 2012 and Tanner Scheppers in 2013…posted career-lows in WHIP (1.170), opponent avg., OBP (.294), and OPS (.594). Began the season with Lehigh Valley (AAA)...Named Phillies Minor League Pitcher of the Week, 4/30-5/6 (1-0, 2 SV, 0.00 ERA, 3.1 IP)...Went 1-0, 5 SV, 6 SVO, 0.59 ERA (1 ER, 15.1 IP), 3 BB, 22 SO in his first 13 appearances, 4/5-5/9...Held opponents to a .196 AVG (19-97) and .185 (5-27)with RISP...Recalled on 5/11...Made his ML debut on 5/15 vs HOU (1.1 IP) and earnedthe win in Phillies' 4-3 walk-off victory in 10 innings...Was the 1st Phillies reliever to earn his 1st ML win in hisdebut since 5/17/09 (Sergio Escalona at WSH)...Had a career-high 4 SO in 1.2 IP, 5/22 vs WSH...Averaged 11.52 SO/9.0 IP (35 SO/27.1 IP) with the Phillies...Held LHH to a .200 AVG (9-45) with 18 SO...Posted a 3.60 ERA (6 ER, 15.0 IP) in his first 17 games anda 4.38 ERA (6 ER, 12.1 IP) over his final 15 games ...Optioned to Lehigh Valley on 7/31...Allowed runs in only 2 of his last 12 appearances in theminors, 8/1-29...Recalled for the 2nd time on 9/3 and posted a 1.50 ERA(1 ER, 6.0 IP) over his final 9 games. Spent the season with Reading (AA) where he finished T-4th in the Eastern League in appearances (53). ... Averaged 11.49 SO/9.0 IP (83 SO/65.0 IP). ... Held opponents to a .199 AVG (47-236); LHH hit .099 (9-91) against him and RHH hit .262 (38-145). ... Went 3-for-3 in save opportunities; had two 2.0-inning saves: 7/10 vs Trenton and 7/22 vs Binghamton. ... Posted an ERA lower than 1.80 in June (1.46, 12.1 IP), July (1.59, 17.0 IP) and August (1.76, 15.1 IP). ... Had a season-best 11.2-inning scoreless streak (9 G), 7/22-8/13. ... Posted a 1.95 ERA (6 ER, 27.2 IP) over his final 21 games of the season; had a 3.86 ERA over his first 32 appearances. ... Pitched at least 2.0 innings in 13 of his 53 appearances. ... Played for Scottsdale in the Arizona Fall League where he was named to the AFL Top Prospects Team. ... Had a 0.79 ERA (1 ER, 11.1 IP) with 14 SO in 11 AFL relief appearances. 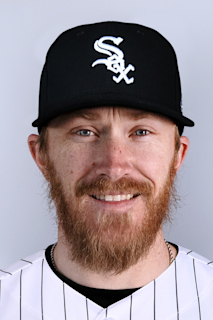 February 13, 2019 Kansas City Royals signed free agent LHP Jake Diekman. October 29, 2018 LHP Jake Diekman elected free agency. July 31, 2018 Texas Rangers traded LHP Jake Diekman to Arizona Diamondbacks for RHP Wei-Chieh Huang and Player To Be Named Later. September 1, 2017 Texas Rangers activated LHP Jake Diekman from the 60-day disabled list. August 28, 2017 Texas Rangers sent LHP Jake Diekman on a rehab assignment to Frisco RoughRiders. August 25, 2017 Texas Rangers sent LHP Jake Diekman on a rehab assignment to Round Rock Express. August 17, 2017 Texas Rangers sent LHP Jake Diekman on a rehab assignment to Frisco RoughRiders. February 14, 2017 Texas Rangers placed LHP Jake Diekman on the 60-day disabled list. Colon surgery. July 22, 2016 Texas Rangers activated LHP Jake Diekman from the 15-day disabled list. July 15, 2016 Texas Rangers placed LHP Jake Diekman on the 15-day disabled list retroactive to July 6, 2016. Lacerated left index finger. June 18, 2015 Philadelphia Phillies recalled LHP Jake Diekman from Lehigh Valley IronPigs. June 5, 2015 Philadelphia Phillies optioned LHP Jake Diekman to Lehigh Valley IronPigs. June 13, 2013 Philadelphia Phillies recalled Jake Diekman from Lehigh Valley IronPigs. March 17, 2013 Philadelphia Phillies optioned Jake Diekman to Lehigh Valley IronPigs. September 2, 2012 Philadelphia Phillies recalled Jake Diekman from Lehigh Valley IronPigs. August 1, 2012 Philadelphia Phillies optioned Jake Diekman to Lehigh Valley IronPigs. May 11, 2012 Philadelphia Phillies recalled Jake Diekman from Lehigh Valley IronPigs. March 27, 2012 Philadelphia Phillies optioned Jake Diekman to Lehigh Valley IronPigs. November 18, 2011 Philadelphia Phillies selected the contract of Jake Diekman from Reading Phillies. April 2, 2011 Jake Diekman assigned to Reading Phillies from Clearwater Threshers. November 3, 2010 LHP Jake Diekman assigned to Mesa Solar Sox. June 24, 2010 Jake Diekman assigned to Clearwater Threshers from Lakewood BlueClaws. June 15, 2009 Jake Diekman assigned to Williamsport Crosscutters from Lakewood BlueClaws.